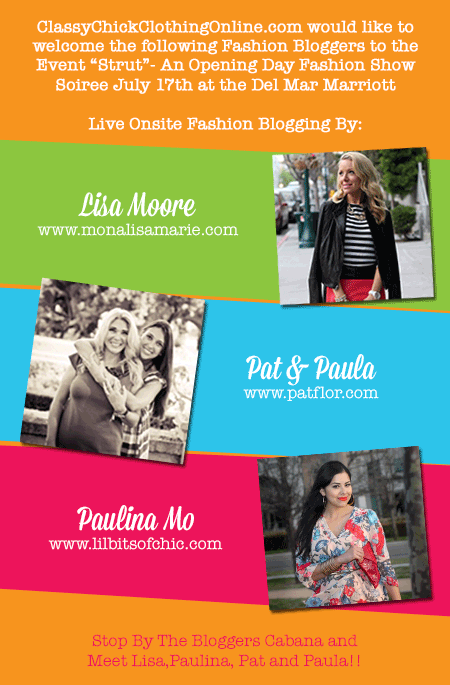 Hi girls, Paulina from lilbitsofchic.com here bringing you an exciting event where I, along with Lisa and PatFlor will be live blogging from a bloggers' cabana! Here is a cordial invitation to all of you as well as a special coupon code at the end. Don't know what to wear? Check out my blog for some ideas. Put on your fancy hat or fascinator and join us there! 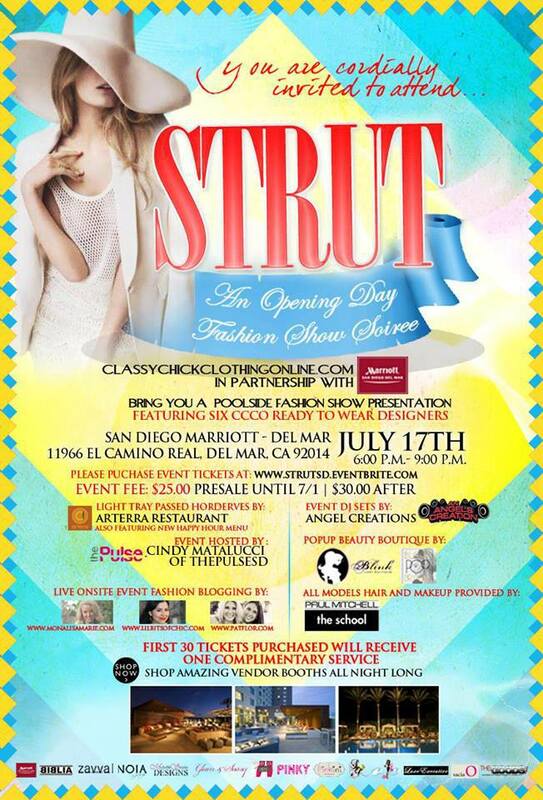 *Featuring Six Exclusive “Ready to Wear” Collections in a Poolside Fashion Show from ClassyChickClothing Designers: Sacia O Couture Head Wear & Pinky Shoes, Biblia, Zavval, Michelle Soto Designs, Noia, Pinkini Swimwear and Make up by Paul Mitchell The School. *What's a Fashion Show without Shopping? Pop-up Boutique Vendors on site! Use Code: BlogStrutSd for a special discount! See you girls there!! <3 <3 So excited! This sounds so fun! I wish I could make it! Have a blast ladies!